We take carbon fiber trim scrap from the waste stream of rocket production and turn it into high quality, flat sheets and custom parts. The aerospace industry throws away over 10 million pounds of trim scrap and expired material each year. We collect the material from suppliers in Southern California. Trim scrap comes in different shapes and sizes. We sort through the trim scrap and process it into standardized sizes and shapes for use in our kits. We use the processed material to make kits of different thicknesses which go into our heated press where they are cured and made into high quality flat sheets. 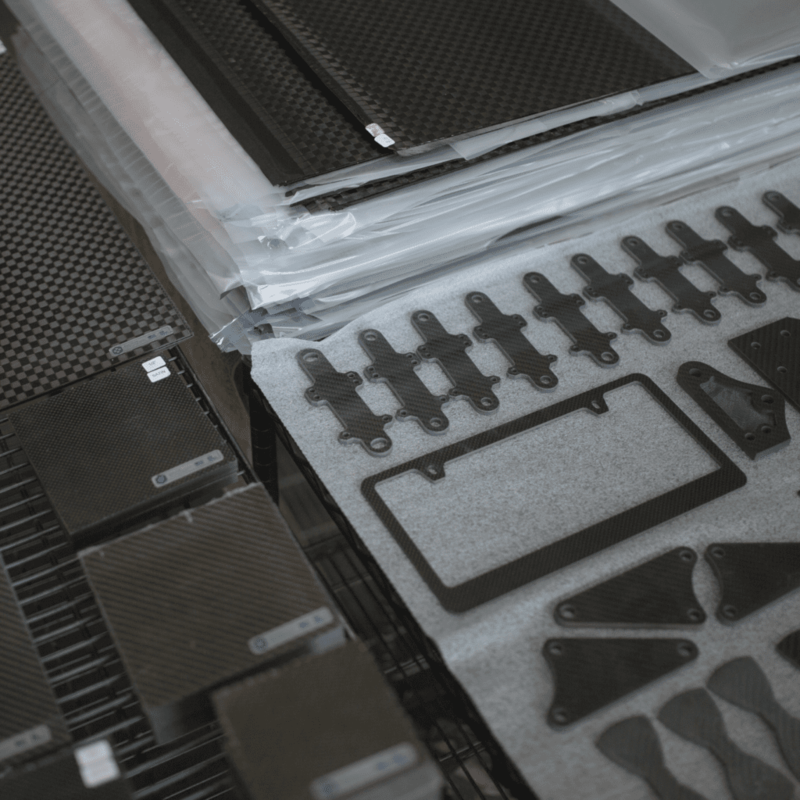 Our flat sheets can be cut into smaller sizes or into custom parts with our carbon fiber machining services. We support many different industries that value strength and light weight.